One of the best parts about working with an experienced document management company is that you can leverage their expertise. Since document management is their core business, they can evaluate your business and offer several solutions that are tailor made to your company’s specific needs. They will also likely use their resources to continually improve their business and raise their quality standards to remain competitive, all of which can only benefit your business. 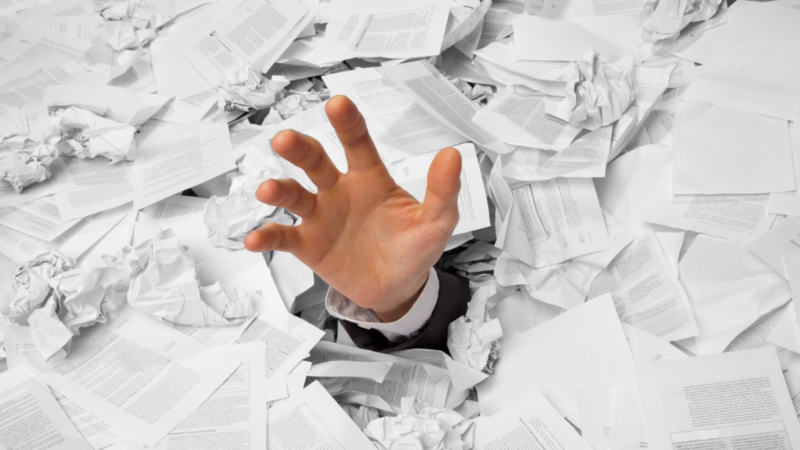 Do you know how many documents your company produces every day? How about every year? If you are thinking about managing your documents in-house because you believe it will be more convenient, you should consider the true cost first. Your employees are too valuable for them to waste time shredding documents or scanning them into a machine. Instead of doing that type of work in-house, you can easily work with a vendor who has a team of highly trained and experienced employees whose sole purpose is to help your company reduce waste and become more efficient with online documents. Another advantage of outsourcing everything to a document management solutions firm is that you can finally go back to focusing on your core business. Don’t waste time shredding papers when you can work on revenue generating tasks that will help your business grow. To learn more about our full-service document management solutions, please contact us today.